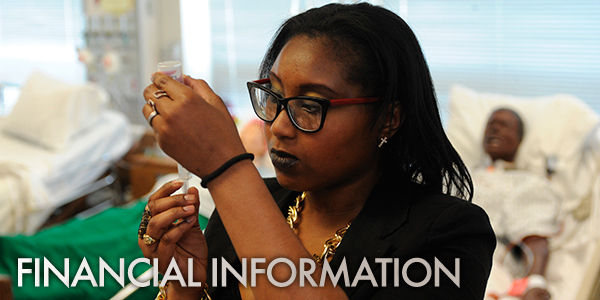 Union County College is committed to providing a quality education at an affordable price. The Office of Student Accounts is here to help you understand the costs associated with your educational experience and to assist you in being successful. Through the College’s Web Services Financial Information links, you can easily view your payment history, refunds and any related holds on your account, and pay your bill by credit card or by e-check. In addition to our online services, we are here, onsite, to answer any questions you may have about your tuition and fees, including managing payment plan options. Please visit the Student Services Center on the College’s Cranford, Elizabeth, or Plainfield campus, call (908) 709-7063 or e-mail StudentAccountsOffice@ucc.edu for more information. For privacy reasons, please use your Owl’s Nest email account. When you register, you are agreeing to purchase a seat in each class you select and are responsible for payment of the tuition and fee charges. Should you choose not to begin the classes for which you have registered, you must officially drop those classes according to the published deadlines to avoid being charged. Failure to attend a class does not constitute an official drop, and you will be held responsible for the associated charges. You can view your account balances online at anytime by going to the Financial Information links in Web Services at: https://webservices.ucc.edu. Students who do not make payment or do not have sufficient financial aid by the posted payment deadline for the semester could be de-registered from their courses. Students who register after the payment deadline must make payment or have sufficient financial aid by the following business day or they could be de-registered. The College accepts Visa, MasterCard, American Express, and Discover in addition to cash, checks, and money orders. Payment of a prior semester balance must be in cash, certified check, money order, or by credit card. To pay using someone else’s credit card, you must have the written permission of the cardholder. Students who have estimated financial aid awards on their account at the time of registration may be able to apply such aid towards their charges. If financial aid does not cover all charges, the remaining balance is due from the student. In addition, students will be responsible for making payment to the College in the event that any Financial Aid award is revised or cancelled. The College reserves the right to require payment in cash when circumstances so warrant. Credit card and personal check (E-check) payments should be made online through Web Services. To ease the financial burden of attending, the College offers a Tuition Payment Plan for Fall and Spring semesters. Students must be registered for three or more credit/hours. There is a non-refundable fee to participate. The fee will be waived for students who sign up by the semester payment deadline. Payments are due in monthly amounts. The initial payment plus the fee (if applicable) is required upon sign up. The number of available monthly payments (up to a maximum of five) and the required down payment percentage depends on when the plan is established. Students can sign up for payment plan and make the initial payment on-line https://webservices.ucc.edu or at a Student Services Center. Students who fail to make payment by the date(s) specified on the promissory note will be subject to late fees. Once a late fee has been added to an account, the student may not eligible to participate in the Plan in future semesters. All accounts with outstanding balances are subject to a monthly late fee until the balance is paid in full. Students who fail to pay their outstanding balance may be turned over to a collection agency and will be responsible for the added cost of collection fees, court costs, and legal fees. The cost of collection can add as much as 40% to the amount already owed and will result in the disruption of your credit worthiness when the collection agency reports the delinquent account to national credit bureaus. A “Hold” will be placed on the student’s account and the student will not be allowed to receive grades, letters of recommendation, or transcripts and will not be permitted to register for subsequent semesters until the debt is settled. In the case of those academically eligible to graduate, issuance of the diploma will be withheld until the balance is paid in full. The student is liable for the full retail-price replacement of any materials, which cannot be returned because of loss or damage. Return Check Fee - A Return Check Fee will be assessed if the bank does not honor a check. Students will be required to pay all current and future balances in cash, certified check, money order, or credit card once a Returned Check Fee has been charged to their account. Late Payment Fee - All accounts with outstanding balances are subject to a monthly late fee until the balance is paid in full. Additionally, students who are on a Tuition Payment Plan will not be eligible for future Plan participation. Refunds can take up to four weeks to be processed and for checks to be drawn. Checks will be mailed to students at their address of record. Note that refunds for payments made by credit card will be credited to the card from which the payment was made. Refund amounts are determined by the official drop date recorded on the student’s account. Courses officially dropped prior to the first scheduled day of a semester will result in a 100% credit of tuition and course fees. Fall and Spring Regular Semesters - Courses officially dropped from the first scheduled day of the semester through the fifth day of the semester will result in a 50% credit of tuition and course fees. After the fifth day of the semester, no reduction in charges will be made for dropped courses. Later Start, Summer, Winter, and Seven-Week Semesters - Courses officially dropped on the first scheduled day of the semester will result in a 50% credit of tuition and course fees. After the first day of the semester, no reduction in charges will be made for dropping courses. Union County Residents: Students with an address in Union County for a period of 12 months prior to the first scheduled day of class for a semester. Out-of-County: Students who for a period of 12 months prior to the first scheduled day of class for a semester have an address outside of Union County, but within the United States. International: Students who for a period of 12 months prior to the first scheduled day of class for a semester have not resided in the United States. Students who have Financial Aid awards (excluding college work study or federal work study) that are greater than their tuition and fee charges for the semester, may be eligible for a Book Allowance. Available for the first three weeks of Fall/Spring semesters, and for the first two weeks of Summer semesters. The Program is offered as an aid to assist students with the cost of textbooks and essential course related supplies. Book Allowance purchases are charged against the student’s anticipated financial aid. Purchases over the amount of the Book Allowance are the responsibility of the student. In the event Financial Aid is reduced or cancelled, all Book Allowance purchases are the responsibility of the student. Some students may not be eligible to participate in the Book Allowance program but may be covered under a Book Voucher program. Visit the Student Services Center for details. Certification of Inability to Admit which must be completed by the Registrar or Admissions Officer of your home county college. Certification of Residency which must be completed by the county fiscal officer (treasurer) of your home county. You will be charged in-county tuition if you submit these forms with your registration. If you paid out-of-county tuition and subsequently submit the forms, your charges will be reduced to the in-county rate, and if applicable, a refund will be issued. Students have 30 days from the first day of the regular semester to submit the required chargeback certificates.